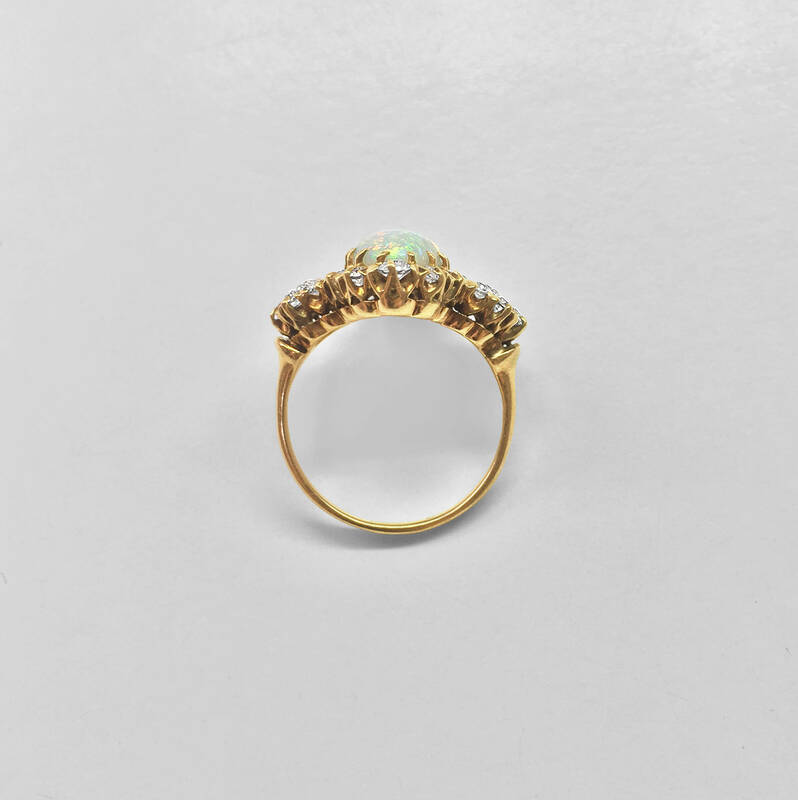 This elegant victorian antique 14K yellow gold ring is set with an exceptionally fine and fiery Australian opal which weighs approximately 350/100 carats. The oval opal reflects vivid red-orange, green, gold and aqua tones and is exceptionally colorful. This beautiful play of color is unfortunately not captured in the picture shown. 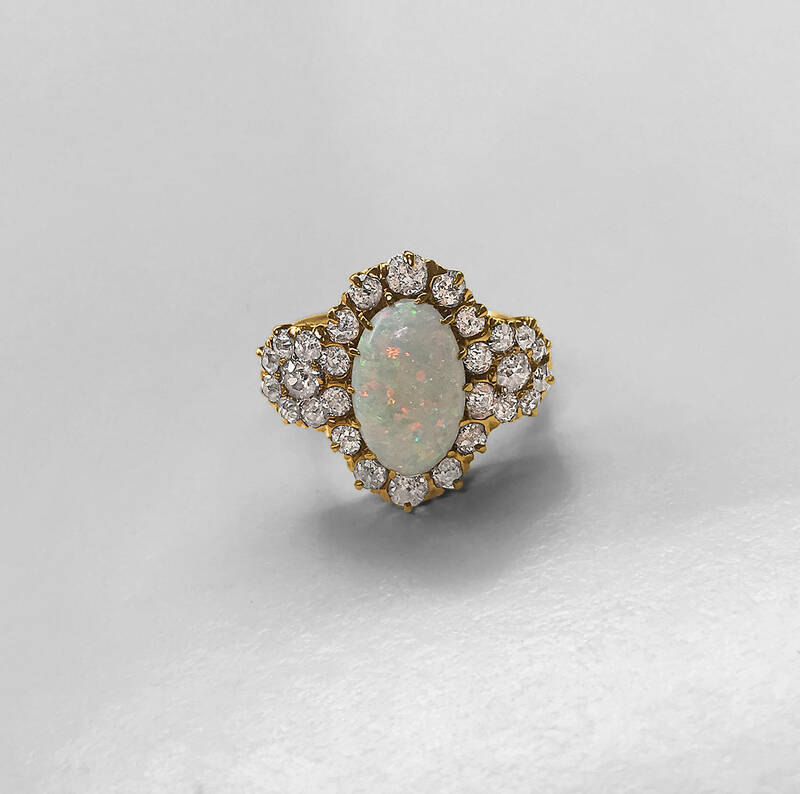 The beautiful opal is surrounded by 28 old European cut diamonds of top white color and very slight imperfection which weigh approximately 153/100 carats. All stones are prong set and in remarkably good shape considering the ring is over 135 years old; but then it has been residing in a vault for the past 75 or so years and shows little sign of wear. The ring is currently a size 6 3/4 but could be sized easily to fit your finger. You will love the way this gorgeous ring looks on your finger!